I’m sorry I’ve been such a neglectful blogger this month. Between the move and getting used to where everything is and registering for school and figuring out what’s wrong with my knee…again…I’ve been a little distracted. While it’s true I tore my medial meniscus in the knee I had surgery on in June, a cortisone shot should put me back on the workout track. The injection is Tuesday…fingers crossed…after which I’ll hope over to the local Y and sign up. Doc wants me in the water for exercise and they have a pool and three different water aerobic classes. Personally I’d rather be on the elliptical or arc trainer, but I’m still under orders to take baby steps, so I’ll get in the water and do as I’m told. Patience, as you know, does not come easy. In the other area of life adjustment, as of last Wednesday, I am a student at Community College of Allegheny County in the dietetics program. (See “Change From Within” if you want to know about this path I’ve chosen.) I was able to use the credits from my bachelor’s degree to satisfy the gen ed requirements, so except for chemistry (which I’ll take next summer…ugh! I’m sooo not left brain that way…), all of my classes in the next two years will be nutrition/dietetic related. Talk about food immersion. Speaking of food immersion, I’m adapting to my new food budget and getting acquainted with the grocery stores around me, not to mention cooking for one. I made a batch of minestrone soup over the weekend and after eating it for dinner on Sunday and lunch on Monday, I still have five servings in the freezer. What a cheap and prolific recipe! Speaking of prolific recipes, I wanted to share this one with you. Here in the northern climes, the weather has turned nipp(l)y and there’s nothing like whipping up a big batch of comfort food that will stick around longer than one meal. I found this on Eat Better America a couple of years ago and it’s one of the most filling (and yummy) meals I’ve ever made. A cup to a cup and a half goes a long way in keeping you satiated. 1. Heat oven to 350 degrees. In ungreased 2-quart casserole or 13×9-inch (2-quart) glass baking dish, mix all ingredients except cheese and green onions. 2. Cover with foil; bake 30 minutes. Stir. Cover and bake 30 to 35 minutes longer or until barley and bulgur are tender and liquid is absorbed. 3. To serve, sprinkle with cheese and green onions. Now on to the giveaway. 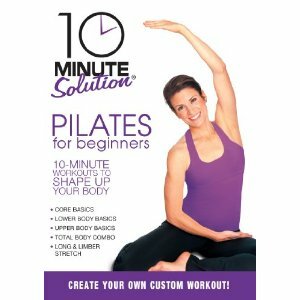 Daughter Carlene recently spent some time with “10-Minute Solution: Pilates for Beginners.” If you’d like to throw your name in the hat to win this DVD, leave a comment below or send an email to lynn.haraldson@yahoo.com. I’ll draw a winner on Tuesday, November 23. Pilates is a great way to increase strength, balance, and posture. It requires you to work against your own body weight to build muscle rather than lifting hand weights, and promotes a strong core to ensure balance. With that said, I don’t know if Pilates and I can ever be best friends. I respect it and the results it can generate, but it is not an easy road. Let’s just say I got through “10-Minute Solution: Pilates for Beginners” and didn’t hate it. The DVD is made up of five separate segments, including Core Basics, Lower Body Basics, Upper Body Basics, Total Body Combo, and Long & Limber Stretch. Because each segment is only 10 minutes long, time really goes quickly (bonus!). And because it’s a beginners DVD, the instructor spends ample time explaining correct breathing techniques and positioning. Each segment can be played individually, or you can create your own routine, choosing the sections that you enjoy best. The only segment that I found especially difficult was the Upper Body Basics. I, like my mother, have arthritic wrists and could not do the plank exercises very well. Planks require you to balance on your forearms and your toes, which is great for the core, but sadly, very bad for my wrists. I was able to do only about half of that of the instructor. Everything else, while challenging (considering my abs are hurting two days later), was achievable. If you’ve always wanted to try Pilates, then I highly recommend this DVD. It is the best beginner Pilates workout I’ve encountered so far. Enjoy! This entry was posted in Uncategorized on November 20, 2010 by Lynn Haraldson. I'll definitely comment but I don't think I could do the Pilate's at age 65 so that ought to go to a younger person. I'm so proud of you Lynn for going back to school to pursue something you want to do. My son started nursing school at age 38 and now has only 1 more year to go. He was a Mortician but wanted to deal more with the middle than the end of life. Hang in there. I'm glad that you're settling in to your new apartment. It does take some time, however, both physically and emotionally to make such a change. Your college program sounds interesting and exciting. I will be anxious to hear about it. I hope your knee is OK–take it easy, and BTW, the recipe sounds delicious. I will definitely try it. Have a great weekend! the pace of summer classes is MUCH FASTER than regular semester classes. If chemistry is going to be a challenge for you, you do not want to take it in the summer. Or if you do, you might want to have a tuitor lined up from day one (so you only have to take it once with a good GPA). and pilates is great for all ages because there is no impact and the moves are repeated several times so it is not confusing/too busy. It is actually GREAT for age 65, it would be great for age 75 too. Congrats on the school thing. It's been alot of years & you just might find that chem isn't as bad as you remember. In fact, you may find it interesting now. I'd love to be entered! I've never tried pilates before. Put my name in for the drawing. Greetings! I'd love for you to put my name in the hat if it's not too late. I've never tried Pilates and I'm looking for something to spice things up. I hope you get good news with your knee, and good luck with going back to school – how exciting! I've been throwing around the idea since I have great tuition reimbursement now, but I have a feeling I better wait a bit. We are still adjusting to “mommy” leaving part time world for the full time gig. Keep us updated how it goes. It sounds like you're doing well. School is such exciting news! Best of luck on your new path! I would love the video! So glad you are back, best of luck with your knee and taking it slow as the doc ordered. Your recipe looks great and I have all of the ingredients to make today, what a nice surprise. Can't wait to see some posts and learn from you on the dietetics program, should be interesting for both the body and mind. Take good care, you are such an inspiration to me! Lynn, sorry you're having problems with your knee again(still). Hope it gets better soon! Excited for your new school adventure–I've also been thinking about getting a Master's in Nutrition. 🙂 I'm always looking for new workouts–put me in for the DVD please! I'd love to learn pilates! need to mix up my exercise. How exciting you are going back to school! I say it is never too late! I have always wanted to try Pilates. That would be a great way to get started! Thanks for the opportunity! I've been wanting to try out a new Pilates video..I'm getting sick of the one I've been using the last 2 years! I love pilates and it's so easy to do at home, please put my name in the drawing! A new video to add variety in my workout routine would be great! Lynn, the recipe sounds delicious. I have never cooked with bulghur, although I have read about how nutritious it is. Would I have to go to TJ's or WF to find it, do you think? i just discovered your website while browsing the web for some motivation to start exercising. 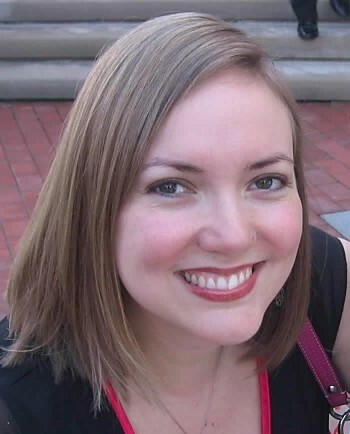 i hit the heaviest point in my life in the last 6 months – heavier than i was at 9 months pregnant. i blame it on all the yo-yo dieting this past year… slim fast, weight watchers, raw food, vegan diet, no carb… i feel like a crash test dummy for the next diet rage. thanks for sharing your journey. Wow Lynn! Good for you for being so motivated despite all the recent changes. I tend to get overwhelmed and hide in bed. Lol. Thanks for being inspirational! This is a great blog and a really good recipe. It sounds really delicious. I want to try that out this weekend, but who knows if I want to do any cooking after Thanksgiving. A good tip for people is to keep a food diary to keep track of what you ate during the course of the day, week and so on. I use it and it is a great tool to use. Thanks for the recipe and hope all is well!